Have you ever wondered what the best way to clean an oven is? 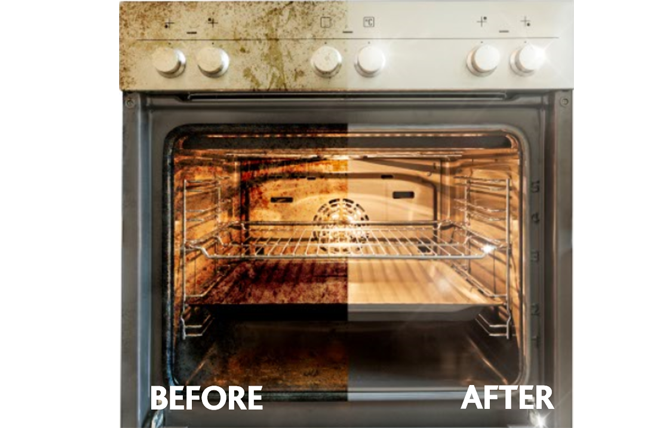 This time-lapse speeds up the amazingly thorough process that our Ovenclean specialists follow to professionally clean an oven, leaving it sparkling and ready to use as soon as we’re finished. Our fantastic service has earnt us a 5* rating on Trustpilot, and our no-added caustic system means it’s safe for use around children and pets. Ovenclean cleaners can clean all kinds of different ovens, microwaves, BBQs and range cookers. Find out what we can clean by clicking below. Wondering how much an oven clean costs? Click the button below to find out about our pricing. Here we answer the questions we get asked most frequently about the oven cleaning service for your piece of mind. The work is finished within just two hours and appliances are safe and ready to use immediately. Our process removes all grease, fat and burnt on food whilst fully protecting the enamel surface of your appliance. Ovenclean specialists also carry stock of replacement lamps, universal seals and a range of extraction filters for your convenience.